With the decline of Rome, power on the planet shifted eastwards towards the countries and regions dominated by Islam. In Western Europe, a degree of centralized power began to emerge among the descendents of the invading tribes that conquered Rome. 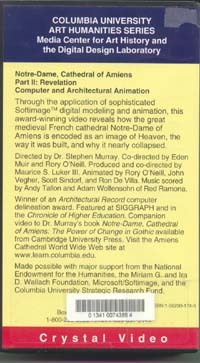 In 800 AD, Charlemagne was crowned the Holy Roman Emperor and "western Europe grew in population and power as the result of technological innovations in agriculture and warfare"
500 A.D. ~ 1300 A.D.
"... a technology is responsive to social needs; the needs of the Roman Empire ... differed from those of the agrarian and political decentralized states which arose from the ruins..."
"In the subsistence economy of Europe from 400 to 900 AD, iron tools were prized possessions. The scarce iron was used to provide sharp edges on implements made mostly out of wood". 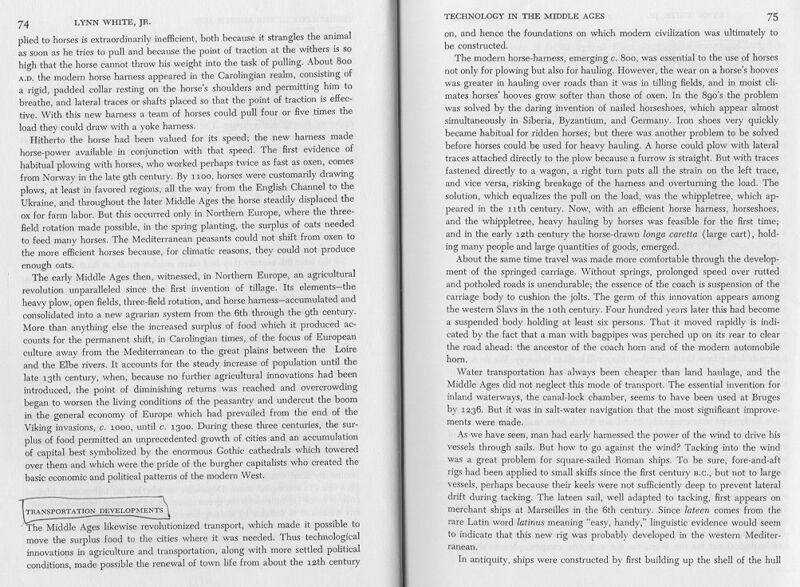 "The victory of Christianity over Paganism in the 4th century Roman Empire had provided an improved psychological basis for technological innovation"
Read further to learn about the 4 things that made the "west" become more technologically advanced than the "east"
Description of agricultural developments and transportation developments. A better way of putting harness on horses allowed them to pull heavier loads (such as large plows) and carry loads over longer distances. Crop rotation was also developed. All of these factors increased availability of food, and enhanced people's health increased the numbers of the populations. 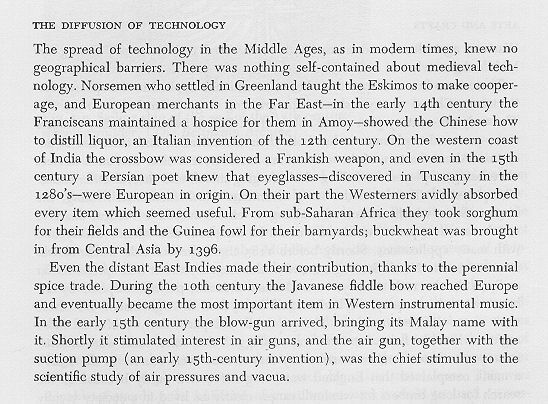 "The spread of technology in the Middle Ages ... knew no geographical barriers"
Although sometimes the period in European history, between the fall of the Roman Empire and the rise of the Renaissance in the 14th century is sometimes referred to as the Dark Ages (mostly in reference to the Black Death in the 13th century) there was in fact many advancements and developments in this period. "Between about 700 - 1300, western Europe underwent a significant transformation. Its population multiplied four times to 36 million. Diets improved as agricultural production was expanded and made more efficient. Food production was improved by the use of water mills and windmills"
which reached its most developed form in Normandy in the 11th century." "what is a castle?" 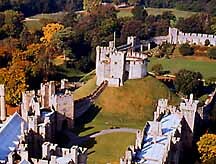 The English Medieval castle, like its counterparts in Europe, is a unique phenomenon. Most buildings are created to fulfil a single, specific purpose: a church, a house, a factory, a school, a bank, a hotel etc. A castle, depending upon the status of the man who occupied it, could be variously, a military base, a seat of government, a court and a stronghold for the surrounding region. It could be any or all of the above but it was principally the private residence of itsowner, his family and his dependents. The Romans dotted the countryside with innumerable military encampments and built the impressive chain of fortresses, known as the Saxon Shore forts (e.g. Portchester Castle, below), to guard South-East England from Saxon raiders in the 2nd and 3rd centuries AD. The Normans later built castles within the walls of two of these Roman Saxon Shore forts. Castles were the product of that period of Medieval history termed the Age of Feudalism. Feudalism is a term strictly applied to the military society which was created in Europe during the 9th and 10th centuries AD and which reached its most developed form in Normandy in the 11th century. "The Norman conquest of England in 1066 introduced feudalism to England. We have already seen that castles were a feature of feudalism so it follows that the Normans introduced castles to England." "At the top, is the king who, in theory at least, owned all the land in his kingdom. Immediately below the king was a group of major landholders who held their land directly from him, his tenants-in-chief. These were the great lords and magnates of the kingdom. [Dukes, Earls and Barons] In return for their land, they swore to give the king military service; that is, they and their retainers would fight for the king whenever and whereever he chose. The tenants-in-chief let out land to their tenants, the lesser barons and lords, on the same terms. This process was repeated all the way down the pyramid to the knight who was the local lord of the manor. The amount of land a man held was directly proportional to the amount of military service he could render." Measures "Medieval Europe inherited the Roman [measurement] system, with its Greek, Babylonian, and Egyptian roots. It soon proliferated through daily use and language variations into a great number of national and regional variants, with elements borrowed from Scandinavia and from the Arabs and original contributions growing out of the needs of medieval commerce." inherited from earlier northern Europe. Medieval liquid measure was generally based on the pinte, or pint, which was approximately equal to the modern English quart; the quart was a medieval unit of dry measure, very close to its modern English equivalent in volume." 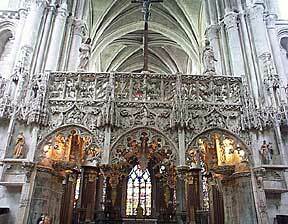 "in the religious climate of medieval Europe, the building of large cathedrals became a way for towns to display their wealth..."
Ages" or the Medieval Period in Europe. This disintegration of the Roman Empire meant anarchy among the Germanic peoples and left Warrior-Lords to divide and conquer the land in Western Europe. During this period of time between 500 to1000 A.D., early medieval existence progressed at a inconceivably slow pace..... Crusades.... Western Europe was introduced to the Byzantine and Islamic cultures. The art of these cultures had not fallen into the Dark Ages with Europe, but maintained the heritage of the Greco-Roman influences. 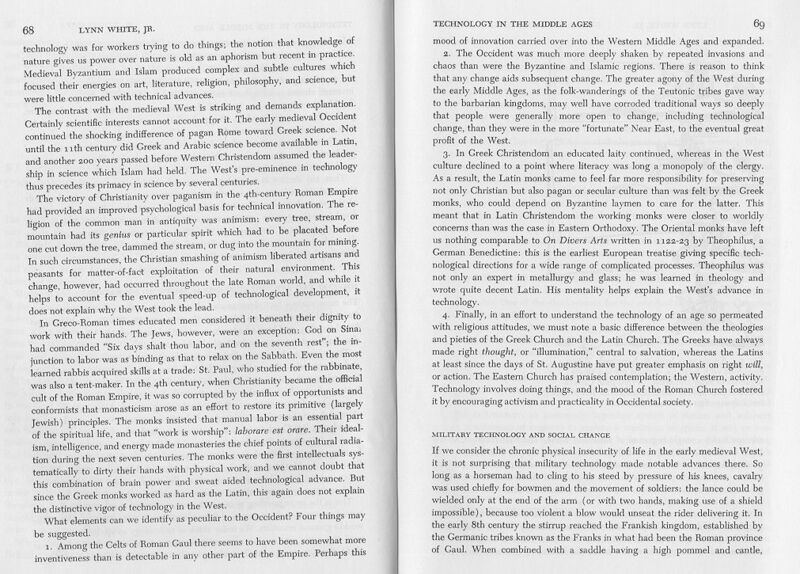 Although Rome fell and Europe went into a period of nonprogression, Constantinople, established by Constantine in 330A.D. as a Christian city and later the capital of the Byzantine empire flourished and prospered with the remains of the eastern part of the Roman Empire." 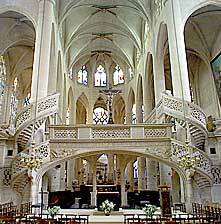 In the Middle Ages, religious faith in Europe was the dominating motivation behind everything. 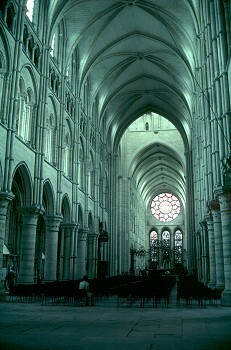 The cathedral was meant o be a physical representation of the divine order of things. 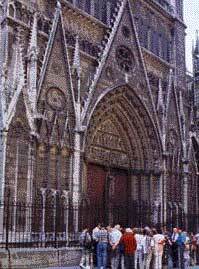 One of the things that makes the Gothic Cathedrals different from the pyramids, Roman cities, etc., is that after 750 years, they are still in use for their original purpose. Aside from being a spiritual center, these buildings were also a magnet for trade and commerce. As the cities grew in the Middle Ages, they competed with each other for trade and business - just as cities do today. 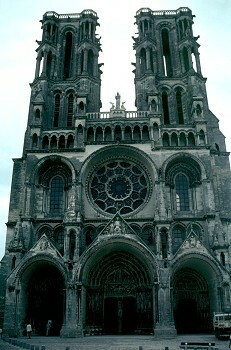 Many Cathedrals housed ancient religious relics which attracted people to travel far distances to see. As a result of travelling far distances, the local people could sell food, lodgings and other things to these travellers. 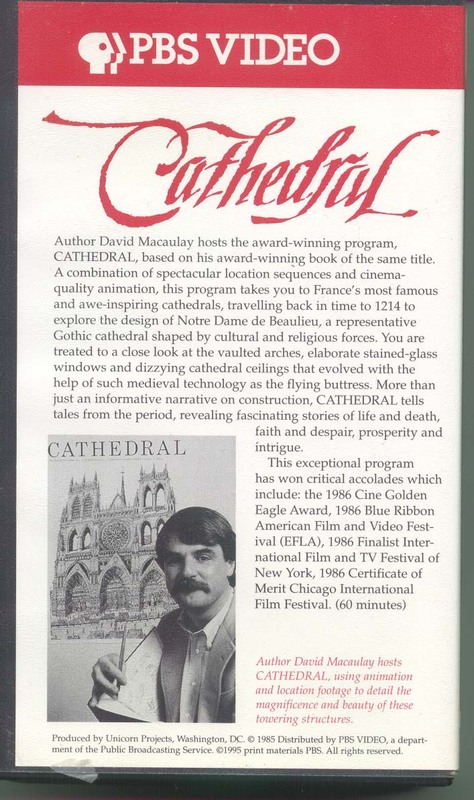 Uses live-action sequences and animation to portray the construction, beginning in 1214 and extending over many years, of Notre-Dame de Beaulieu, a fictional but historically accurate Gothic cathedral shaped by cultural and religious forces. 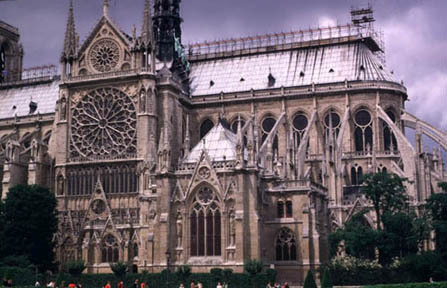 Begins with visits to actual cathedrals, including Chartres, Reims, Notre-Dame de Paris, Amiens, and the Royal Abbey Church of Saint Denis where the Gothic style originated. 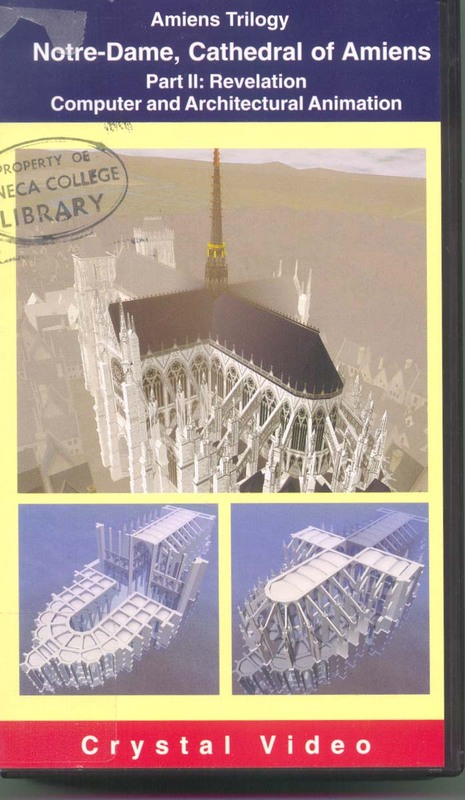 Focuses on architectural features such as flying buttresses and stained-glass windows, and the medieval technology which made them possible. 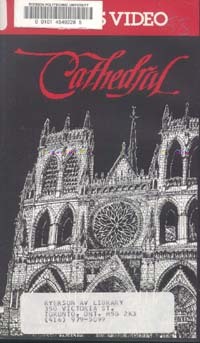 Describes the Gothic cathedral as a symbol of prosperity and civic pride as well as the administrative center for spiritual and educational growth. Based on David Macaulay's book of the same name. Hosted by Macaulay and Caroline Berg. 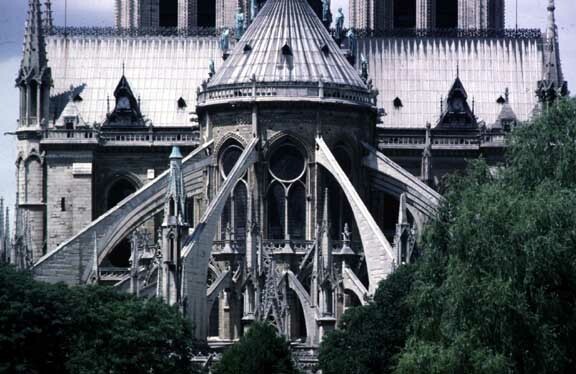 A good view of the flying buttresses, which allowed the interior walls to be supported - without making those walls to thick. In the Middle Ages, the Cathedral was built to attract devoted persons who travelled great distances to see the relics, and the majestic architecture of the building. Now, in 2001, it still draws a lot of people. 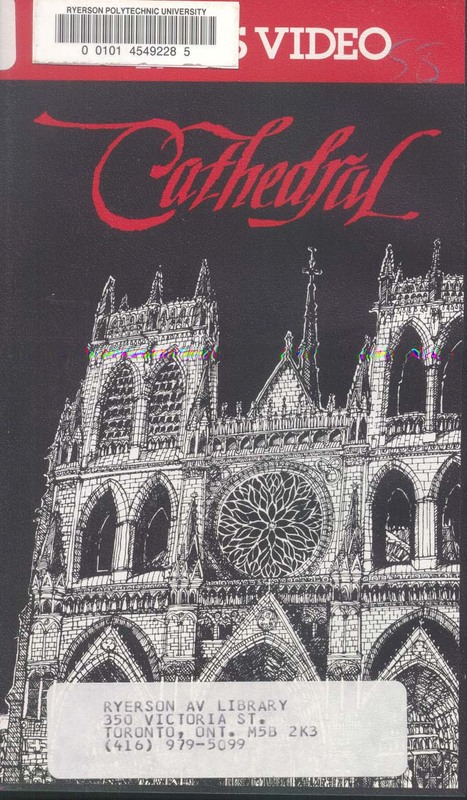 The Columbia University website says "50,000 people visit the Cathedral of Notre-Dame in Paris every day to stare at her windows, sculpture, enormous pillars, and magical stone vaults." The period from the mid 14th century to the beginning of the 17th century was the Age of the Renaissance - which was named such in reference to the "re-birth" of interest in classical Greek and Roman technology and architecture, implements, art and lifestyles. 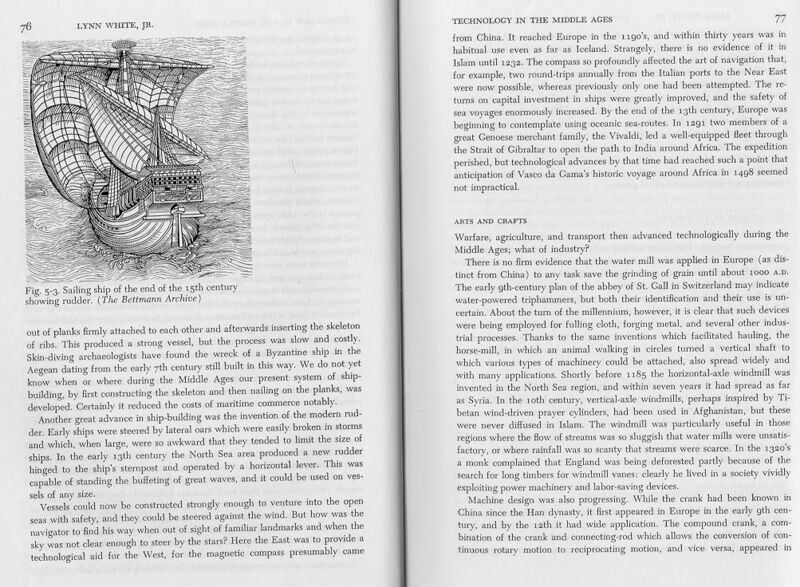 This was also the period for the first long ocean voyages of discovery and led to a greatly expanded view of the world. It was during the Renaissance that the first voyages to North and South America were undertaken and the results had a great effect on European people. At the same time, the Renaissance say the collapse of the great city states and the rise of larger regions which were the forerunners of today's European countries based on national monarchies. The widespread use of gunpowder and cannons led to almost constant warfare as these early monarchies fought with each other over border disputes and access to good agricultural land and forests. 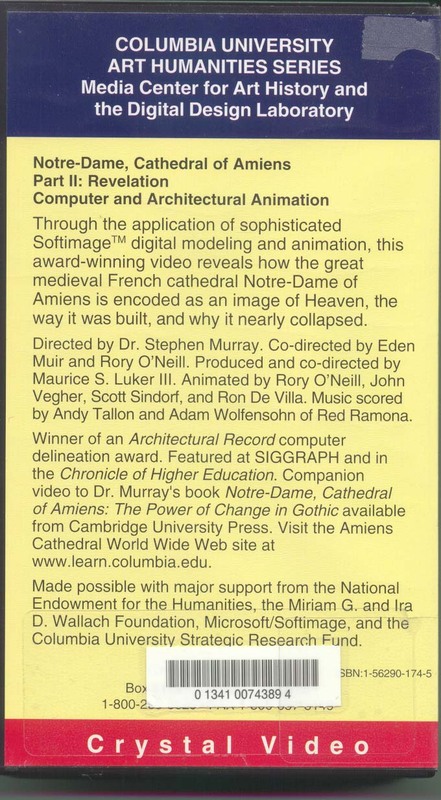 "The major influence of the Renaissance on technology was on architecture." During the Renaissance, many artists and masons, in working on the large religious building projects in England, Spain, France and Germany, made efforts to copy the designs and features of the most famous structures of ancient Italy and Greece. - first mechanical presses in 1450 A.D.
"Leonardo da Vinci, born in 1452 near Vinci, Italy, was perhaps the greatest innovative thinker in history. 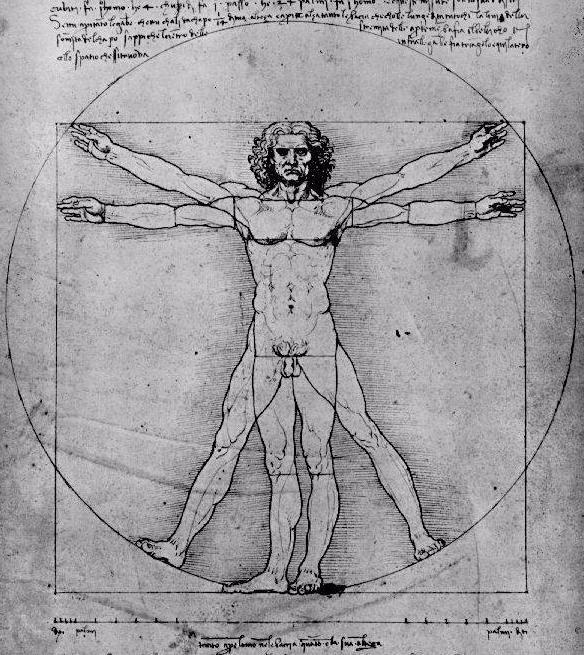 A true renaissance man, da Vinci's talents spanned many disciplines, including art, science, warfare, anatomy, and architecture." 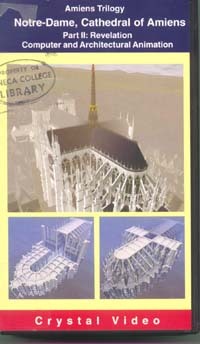 http://www.ktec.com/davinci.htm "Da Vinci conceived and intricately sketched many innovative ideas that have become commonplace in our modern world. His ideas included the helicopter, the machine gun, the parachute, and aircraft landing gear. What is truly amazing is that da Vinci's ideas for flight pre-date the understanding of modern physics." The Scientific Revolution was a time ".. in which many people looked away from the church and towards logic and objectivity for the answers to their most fundamental questions about life, death, and the universe." the background on this web page is a bad colour, it is easier to print this out than viewing it online. PowerPoint presentation, on-line about the Scientific Revolution. Up to the time of Copernicus the thinkers of the western world believed in the Ptolemiac theory that the universe was a closed space bounded by a spherical envelope beyond which there was nothing. He'd studied the work of Galileo and Torricelli. "Newton's second law of motion pertains to the behavior of objects for which all existing forces are not balanced. The second law states that the acceleration of an object is dependent upon two variables - the net force acting upon the object and the mass of the object." reaction forces. 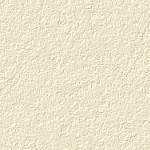 Formally stated, Newton's third law is:"
for example - Newton stated that white light is made up of many different colours and suggested these colours where in a range from darker to lighter. He also established that light travelled in a straight line. During this period, mechanical inventions transformed society from farmers and craftsmen to manufacturing on a large scale. The Industrial Revolution was made possible by significant developments in agricultural technology which increased the population and created an urban non-farming population. This urban population had many new demands for food and clothing which needed to be met by increasing the efficiency of producing food and clothing. "The population of Britain increased from 6.2 million in 1750 to 20.8 million in 1850". "the farm population declined from about 50% to 20%"
Part of the improvements came about based on technology, part of the improvements also came about due to better organization. In 1709 an act of Parliament was passed in England which resulted in tenant farmers being turned into farm labourers. The aristocracy assumed total control of the land and as a result they were able to make changes to crop rotation and selection of crops to be planted. Root crops were added to the traditional grains. This assisted crop rotation because the soil requirements for potatoes, beets and turnips were different than wheat and barley. Additionally, horses replaced oxen and they developed breeding programs to result in larger horses which could pull heavier plows for a greater length of time. "The Industrial Revolution started in England around 1733 with the first cotton mill"
prohibited anyone who had worked in a factory to leave the country"
"New kinds of machinery and the application of steam energy to running the machinery helped create the factory system. New machinery also meant the standardization of products. The Industrial revolution began in the British textiles' industry. The Industrial Revolution had its beginnings in Britain because the English merchants were leaders in developing a commerce that increased the demand for more goods." worked there was because their hands and fingers were small and they could move small parts of machinery more easily +, older men and women did heavier labour in the fields. 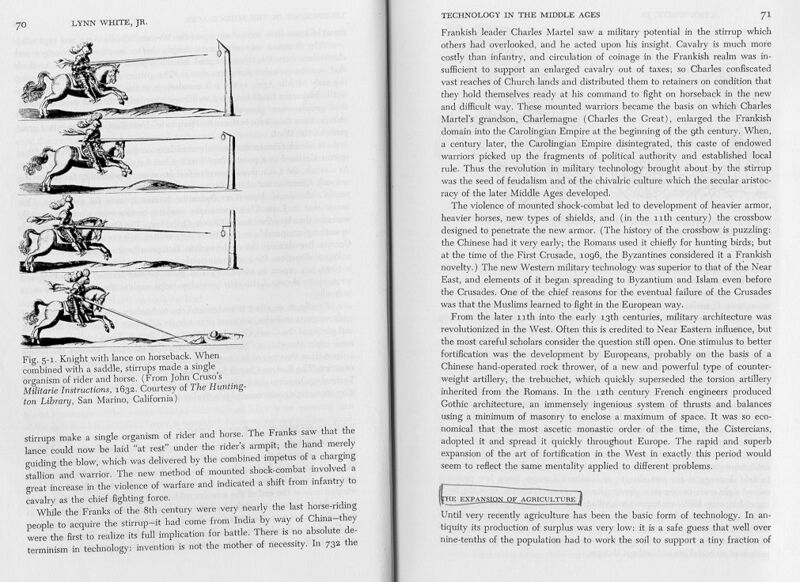 Many children were badly treated to the point where they had physical deformities or died of their beatings. The Industrial Revolution changed manufacturing by changing the way people worked. For one thing, it brought work out of the home and centralized it in the factory. Necessity is the mother of invention; therefore, it was necessity that brought about the revolution, especially in manufacturing. The use of machines enabled goods to be produced in more quantities and cheaper for both producer and consumer. Before the introduction of machines and the factory setting, hand manufactured goods, in single homes or cottages, where the owner worked side by side with his employees was normal. This changed with the introduction of machines and mass production. The Industrial Revolution lead to several other revolutions as technology became more sophisticated. The Transportation Revolution, Communications Revolution and the Information Revolution all can trace their roots in the Industrial Revolution. and other metals that were vital to the expansion of industry." Savery, a military engineer, introduced his steam-operated pump in 1698. The problem faced by his invention was that the design was not very safe to use in coal mines for pumping water because the fire which heated the boiler, to make the steam (in Savery's design) had to be very close to the water being pumped. This meant that sometimes the fire heating the boiler could cause the coal dust to explode, causing the mine to cave in. Savery's design however was suitable for use in pumping water for systems above ground. "Newcomen built an engine with a piston working in a vertical cylinder and a massive overhead rocking beam connected to the mine pumps. In 1712 the first practical steam engine in the world was set to work at a South Stafforshire colliery and within a few years they were being built in almost every mining area of Britain. Their use quickly spread to many countries in Europe and Scandinavia and they were soon employed for water supply purposes." The steam engine can, with justification, be claimed as the single most important invention of the Industrial Revolution.It enabled mines to be drained to greater depths than were previously economically possible and so helped provide the coal, iron and other metals that were vital to the expansion of industry. "Thomas Newcomen has been overshadowed by the better known scotsman James Watt, who is still, incorrectly, known as the "inventor" of the steam engine beginning in 1765. In the late eighteenth century numerous Newcomen engines were used to power factories for those who could not pay the very high charges for Watt's more advanced engines. The number of Newcomen engines built were in thousands, compared with hundreds for Watt's engines, and remained in operation for much of the 19th century." The advantage to Newcomen's steam engine was that it could be installed at the top of the mine shaft, away from the coal dust, with no risk to fire in the boiler sparking the coal dust in the drifts. Watt's improvement was based on his recognition that there was significant heat loss as the cylinder alternately cooled and heated in each cycle. How did James Watt's made improvements to the design of Thomas Newcomen's steam engine. Essentially, Watt produced a steam engine that cooled the used steam in a condenser separate from the main cylinder. Watt continued to improve his steam engine, adapting it to run many different kinds of machinery. As a result of his work, steam eventually powered much of the growing industrial revolution. includes and explanation of the origin of the term "horsepower"
"Watt calculated that a horse exerted a pull of 180 lb., therefore, when he made a machine, he described its power in relation to a horse, i.e. "a 20 horse-power engine". Watt worked out how much each company saved by using his machine rather than a team of horses. The company then had to pay him one third of this figure every year, for the next twenty-five years. When James Watt died in 1800 he was a very wealthy man." 1814 he had constructed a locomotive that could pull thirty tons up a hill at 4 mph. Stephenson called his locomotive, the Blutcher, and like other machines made at this time, it had two vertical cylinders let into the boiler, from the pistons of which rods drove the gears. Where Stephenson's locomotive differed from those produced by John Blenkinsop, William Hedley and Timothy Hackworth, was that, unlike these previous inventors, Stephenson's invention used gears which drove the flanged wheels directly. The Blutcher was the first successful flanged-wheel adhesion locomotive. Stephenson continued to try and improve his locomotive and in 1815 he changed the design so that the connecting rods drove the wheels directly. 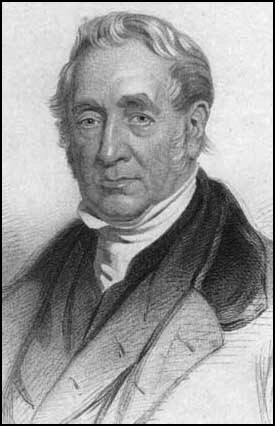 In 1823 George Stephenson and his son Robert Stephenson, + others, formed a company to make the locomotives. The Robert Stephenson & Company, became the world's first locomotive builder. titled "The Golden Age of Steam: Locomotives". The cotton gin, invented in 1793, (short for cotton engine) was a machine for getting seeds out of cotton. Where before the seeds had to be picked by hand, slaves used the machines to significantly increase production.